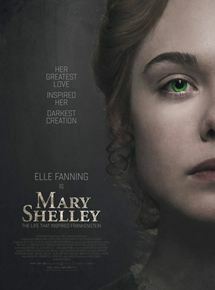 Você assistiu Mary Shelley ? Mary Shelley viveu entre 1797 e 1851, foi uma escritora inglesa e mais reconhecida pelo romance gótico Frankestein. Douglas Booth, Bel Powley, Maisie Williams, Joanne Froggatt e Ben Hardy completam o elenco.